Is Video Slots The Right Online Casino For You? Interested in online gambling? Below we help you learn about various gaming platforms so that you have a better understanding of what might work for you. In particular, we take a moment to review the frequently cited yet infrequently reviewed gaming platform. Video Slots is an online gaming platform that seeks to provide an experience as ubiquitous as its name. With a mission to become a well-known and respected gaming brand online, Video Slots seeks to perfect a single form of gambling, online slots. In particular, they attempt to provide the largest collection of video slots out there becoming a possible one-stop-shop location for all of your slot machine needs. After several years of operation, Video Slots has built up a collection of more than 1700 games that they make directly available to you. While video slots was originally just slots, they have since expanded into a limited range of other popular gambling games, including things like poker and roulette. Video slots provides a 10 Euro free cash the first time you make a deposit on the gaming platform. In addition to this free cash, you also get a signing bonus that matches 100% of what you sign up with up to 200 Euros. Know that Jackpot games do not contribute to bonuses and that bonus money will be paid out in 10% increments. Occasional promotions are also offered through the site and regard things like bonuses for depositing money. 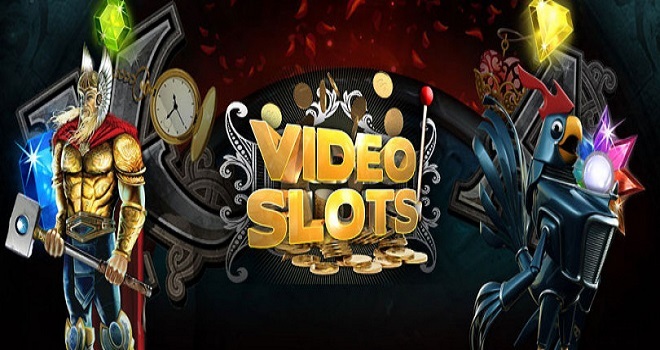 If you want an incredible selection of online video slots, then look no where else. It is difficult to even begin to approach the selection that Video Slots provide. Compared to other gaming platforms, Video Slots may seem a little standoffish. They have not followed the trend of providing free money simply for creating an account and they require a deposit before their bonus is active. In addition, their sign up bonus is conditional on a lot of fine print which you should definitely review before playing. However, if you can get over this hurtle, you will have an amazing selection of gaming experiences to engage in. Video Slots offers more than a dozen different payment methods and has a streamlined user interface that is pretty simple to navigate around. Additional information regarding news and updates is kept current and provides a source for reading up on what the company is up to.